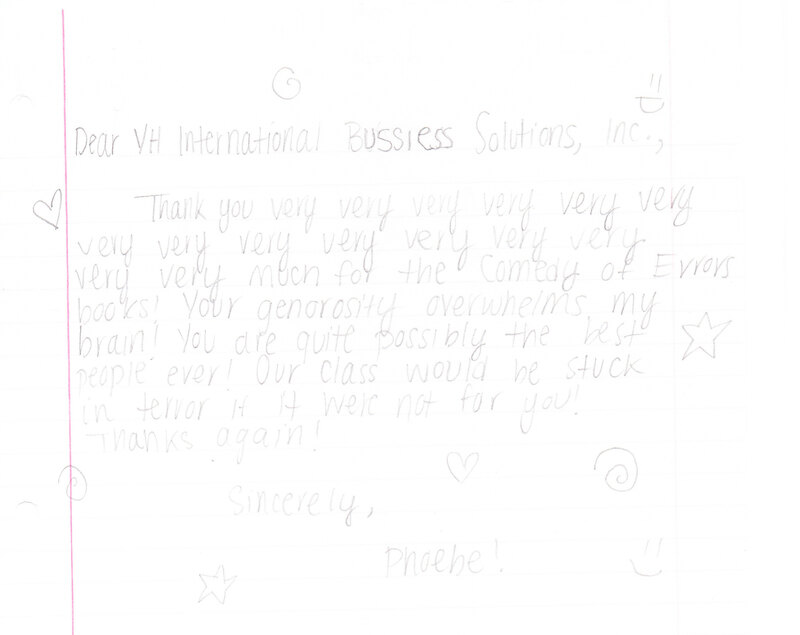 How can VH International Business Solutions help your business succeed? 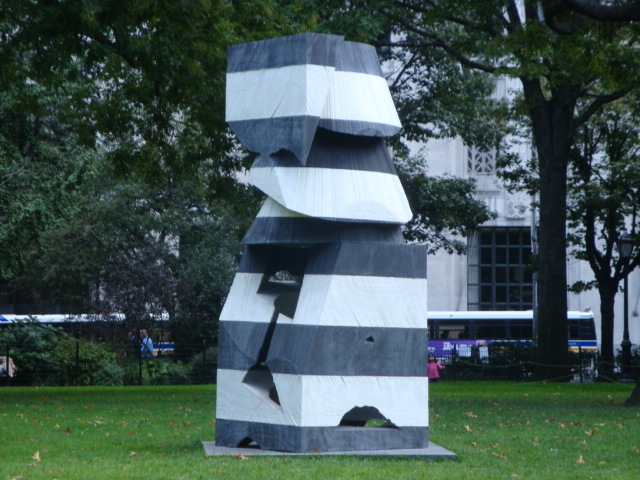 This fall brings some new sculptures to Madison Square Park! Mel Kendrick’s Markers will be on display from September 17 – December 31, 2009. 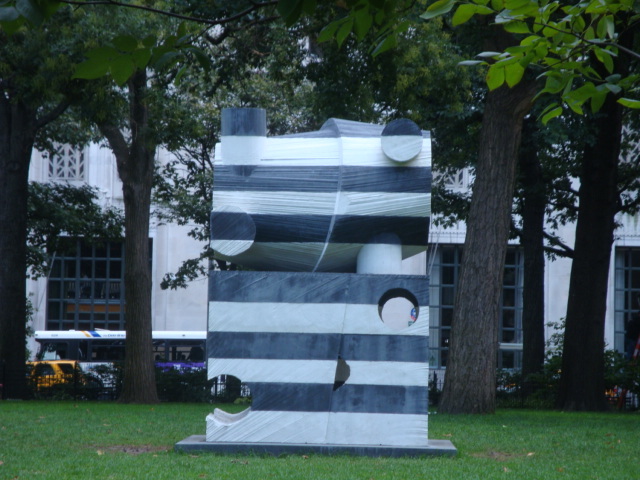 Mad.Sq.Art is proud to present Markers, a series of five new monumental sculptures by Mel Kendrick. Known for a process-oriented approach to art making that emphasizes the practice of addition and subtraction, Kendrick’s Markers are cast in alternating layers of black and white concrete, resulting in bold striation that alludes to the layered stone found in Italian Gothic Cathedrals. 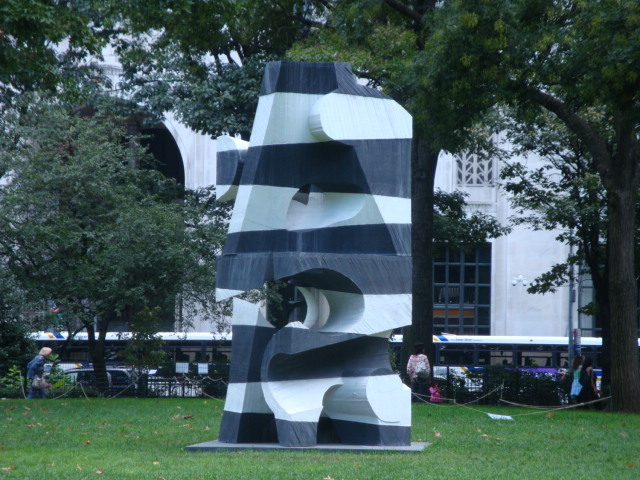 Standing over ten feet tall, the commanding scale of these sculptures echoes the grandeur of their home on the Oval Lawn at the center of the historic Madison Square Park. 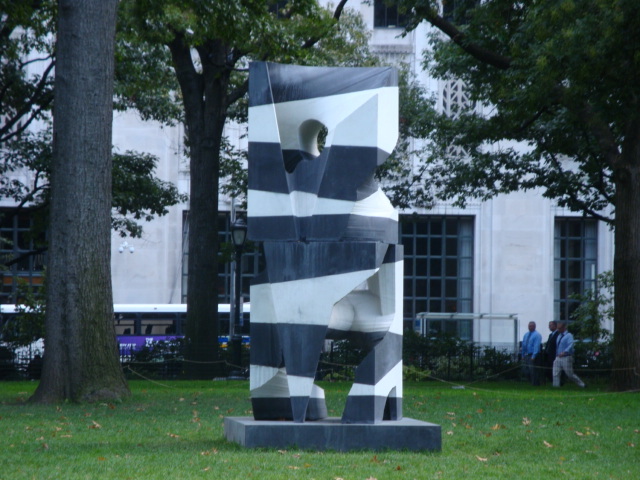 Mad.Sq.Art is the free, outdoor art gallery presented by the Madison Square Park Conservancy. 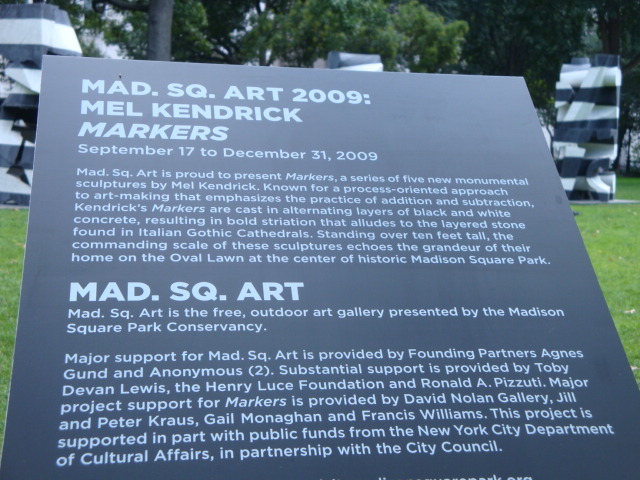 Major support for Mad.Sq.Art is provided by the Founding Partners Agnes Gund and Anonymous (2). Substantial support is provided by Toby Devan Lewis, the Henry Luce Foundation and Ronald A. Pizzuti. Major project support for Markers is provided by David Nolan Gallery, Jill and Peter Kraus, Gail Monaghan and Francis Williams. 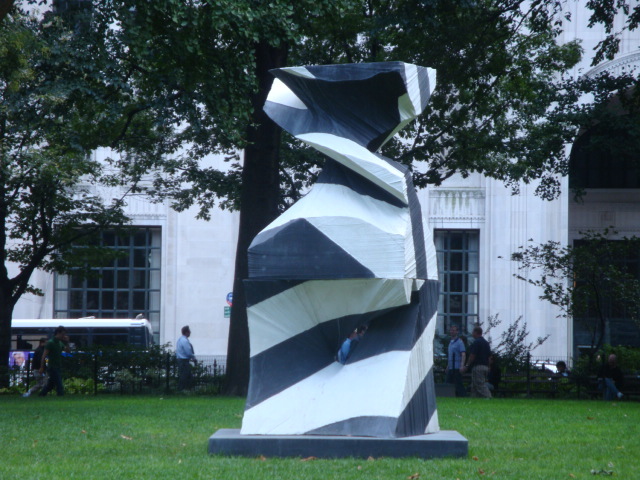 This project is supported in part with public funds from the New York City Department of Cultural Affairs, in partnership with the City Council. Join Ace Hotel and Adam Davidson for ExPAC, celebrating Pacific Northwest Ex-pats living in New York City. Friday, September 25th, 2009, from 6 – 9 pm in the lobby of Ace Hotel New York. Mr. Ariel Stark-Benz on the turntables, and drink specials for those who still have their Oregon or Washington IDs. The event is pretty casual and open. Its a way for Ace to appreciate their roots in the Pacific Northwest by getting everyone together here in the Big Apple! 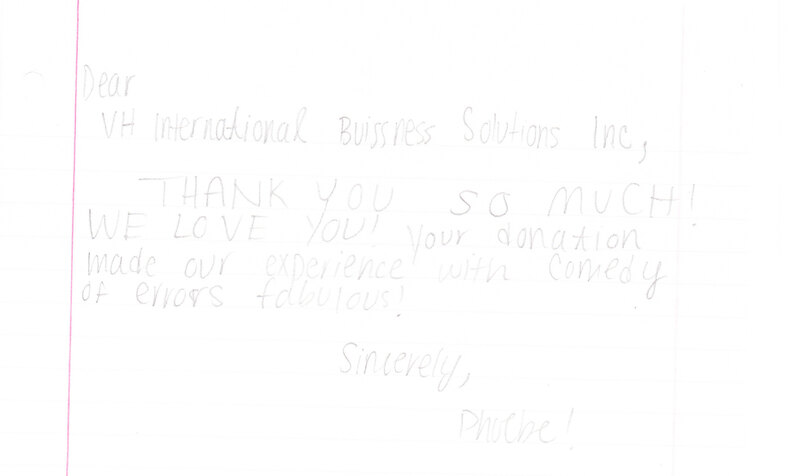 We just received our Thank You package from Mr. O’s class in Charlotte, North Carolina for sponsorship of a classroom project through Donor’s Choose. William Shakespeare is credited with introducing nearly 2000 words into the English language and his plays are listed on numerous lists of the most important works of English literature. But his plays were meant to be performed and watched, not read. I teach theatre students in grades 9-12 to appreciate the liveliness of Shakespeare’s language through a physical, performance-based approach, as opposed to a literary approach. The biggest obstacle to teaching Shakespeare is the fear the students have of his language. If they cannot understand the words, they will never appreciate the beauty of his writing. Therefore, I need an intelligent, well-annotated version of the play so that the students can understand the text as we read it. I am currently using a version I have downloaded from the internet, since I do not have the funds to purchase a class set of the play. The students’ reaction to the photo-copied text is visceral: it looks cheap; the copy paper booklet is large and unwieldy; the writing is small; the words are hard to understand; it’s obviously less important than English where they have a “bought” copy of their texts; etc. 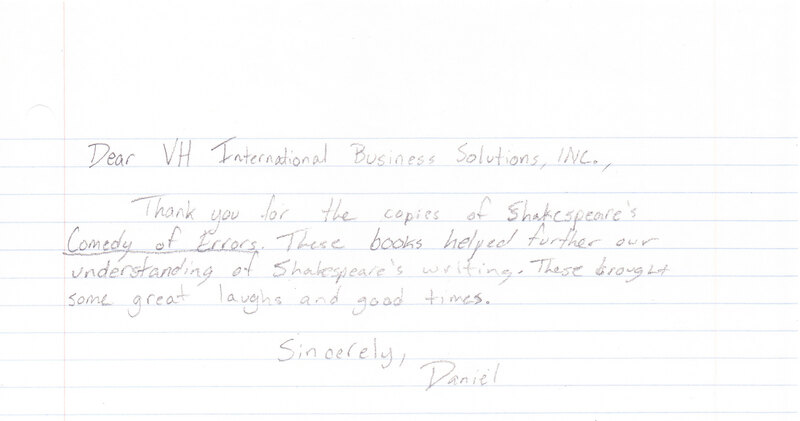 I need a book that is small enough to hold in one hand – paperback size – so the students can easily rehearse while holding the book, since so much of Shakespeare’s comedy is physical. I need a copy that is well-researched and up to date, so that the definitions are clear and easy to understand. 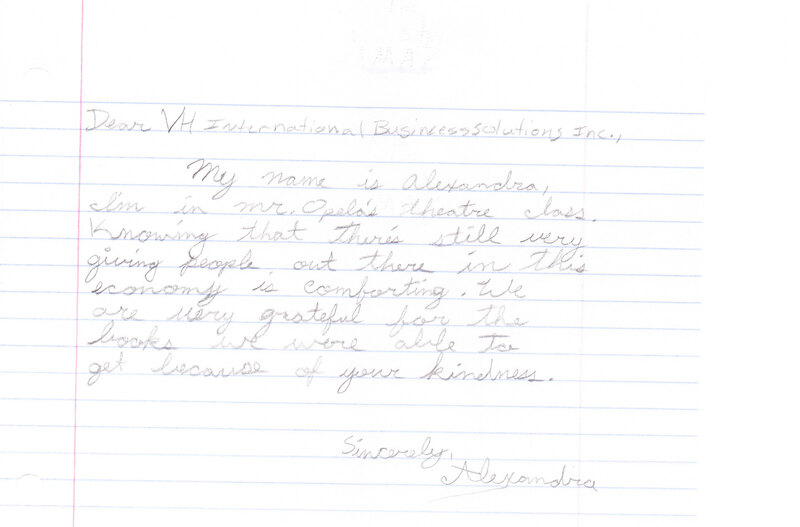 The students respond well to Shakespeare when they grasp the meaning. And when they respond well in my class, it carries over into their other classes: they are more confident; they feel more intelligent; they are more willing think critically about language. When their introduction to Shakespeare is fun and interesting and early – I teach this play to Theatre I students who are primarily ninth-graders – I find that it better prepares them for their literature studies in other classes in high school and in college. 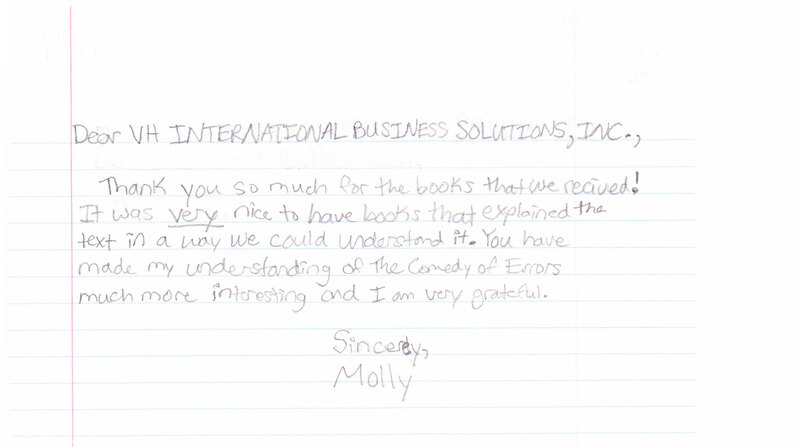 Your help will ensure that my students have the understanding they need to be successful with material that forms the foundation of their studies if English language and literature. 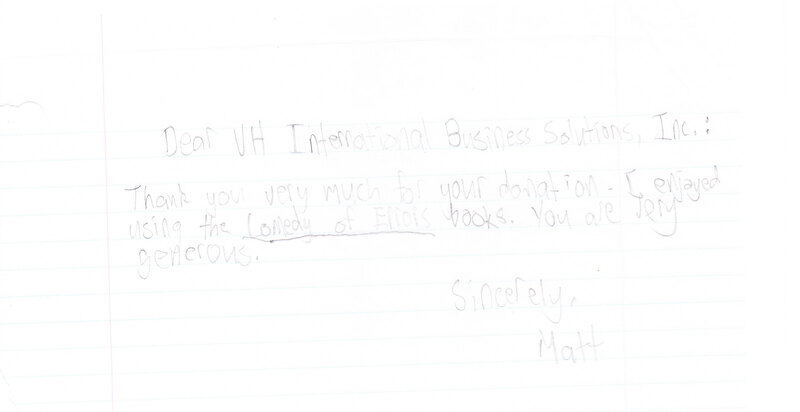 On behalf of my students, I would like to thank you very much for your generous contributions. Because of the lack of available funds – particularly in the current economic climate – it is difficult to purchase necessary materials for the classroom. 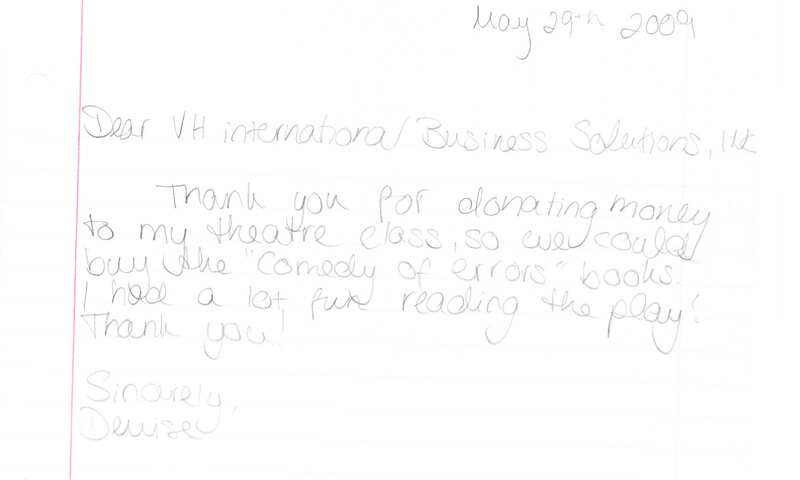 Your donations have made it possible for us to have a class set of the Folger Library’s edition of William Shakespeare’s Comedy of Errors, which will be an invaluable resource as the students are introduced to the beauty, fun, and richness of Shakespeare’s language. 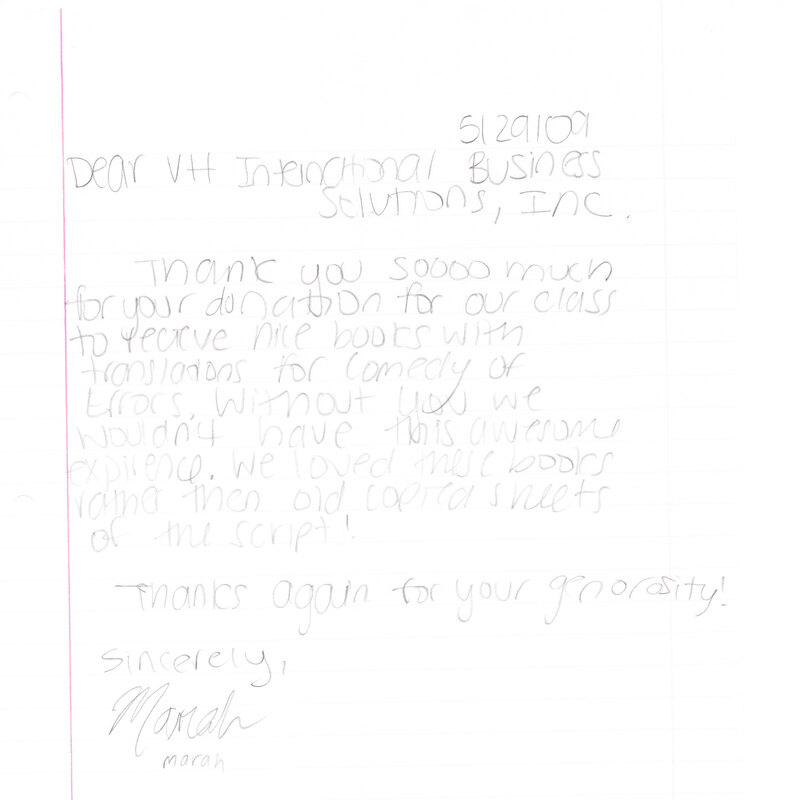 Thank you not only for your financial assistance, but also for your belief in the importance of teaching this material and your support for the public schools.